The efficacy of Focus Group Discussion as a qualitative data collection methodology is put on the line by empirically comparing and contrasting data from two FGD sessions and one-on-one interviews to ascertain the consistency in terms of data retrieved from respondents using these two data collection methodologies. The study is guided by the hypothesis that data obtained by FGD may be influenced by groupthink rather than individual respondents' perspectives. A critical scrutiny of the data that emanated from the two organized focus groups discussion departed quite significantly from the data that was elicited from the one -on-one qualitative interviews. The difference in responses confirms that FGDs are not fully insulated from the shackles of groupthink. 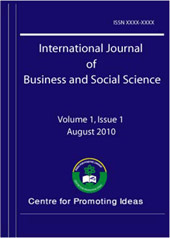 It is recommended, among others, that though FGD can stand unilaterally as a research methodology for non-sensitive topics with no direct personal implications for respondents; researchers should be encouraged to adopt FGD in league with other methodologies in a form of triangulation or mixed methodological approach for a more quality data, bearing in mind the central role occupied by data in the scientific research process.